Don't just let your leads slip away unnoticed, take charge with well-informed sales processes and improve your lead conversions with the Fulcrum Sales Automation tool right now! Why Use a Tool for Sales Automation? 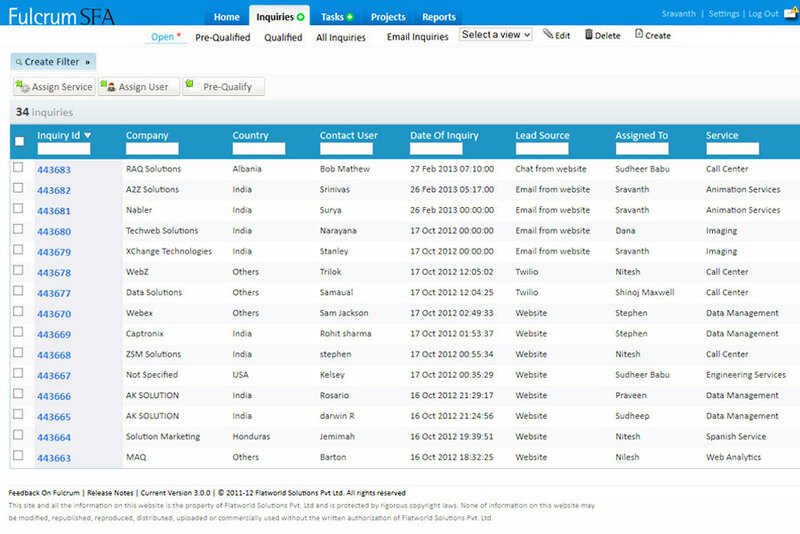 The moment you login to Fulcrum, a neatly organized dashboard welcomes you with all the required information including leads, closures, and various other key sales processes. 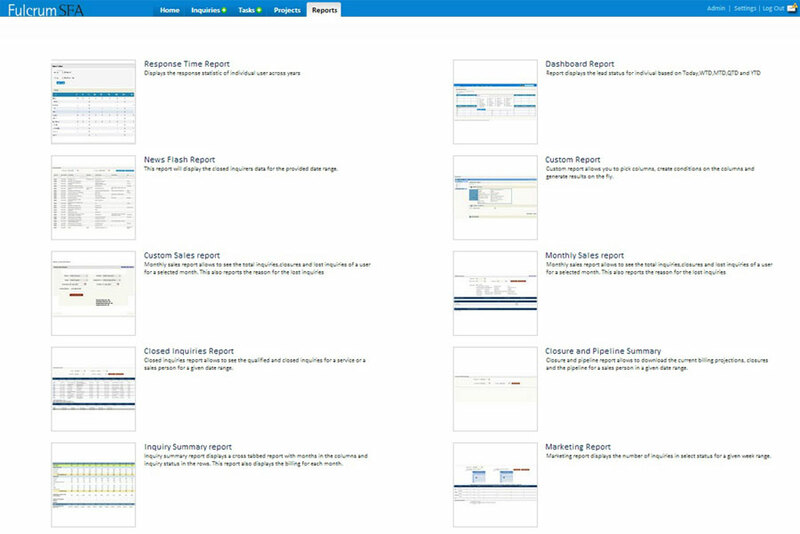 This gives your sales team a complete picture of the sales status and process effectiveness. 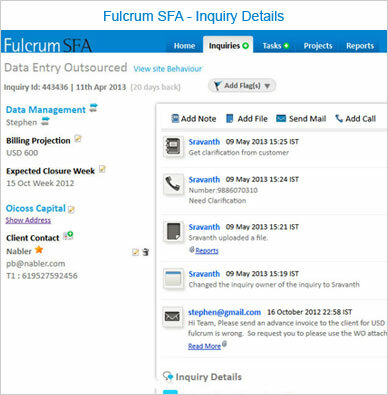 With Fulcrum you can log an individual sales process of every captured lead, like email interactions, calls made, specific information of the lead, topics discussed, etc., which will give you clear information on what action to take next to convert the lead. With Fulcrum Automation you can log social interactions of your prospects, understand their likes and dislikes, know their purchasing patterns, etc. This will allow you to have more personalized interactions with your prospects, and convert them into customers. 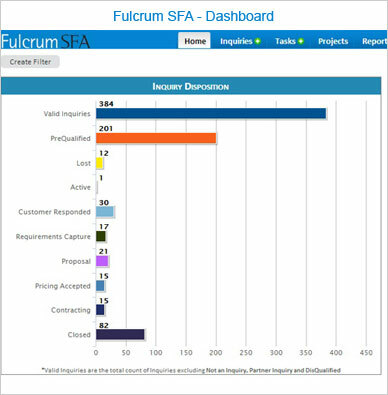 Fulcrum Automation can also generate user-specific reports and stats, giving you a 360 degree view of you entire sales process. This will help your management team to take the right decisions and if required, make changes to your strategy in order to achieve increased conversions. Being a cloud based service, you can access Fulcrum Automation from anywhere, thereby allowing you the flexibility of real-time report generation, enhanced productivity and increased sales. With customer relationship management software like Fulcrum SFA, you can integrate email applications to send out timely mails and messages to your prospects, thereby creating the much needed interaction and information exchange to keep them hooked to your brand. 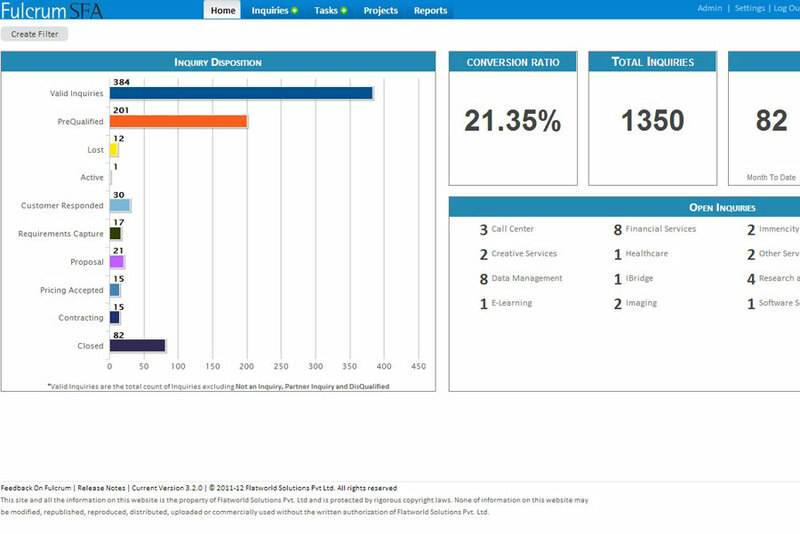 It's Time You Leveraged the Fulcrum Advantage! 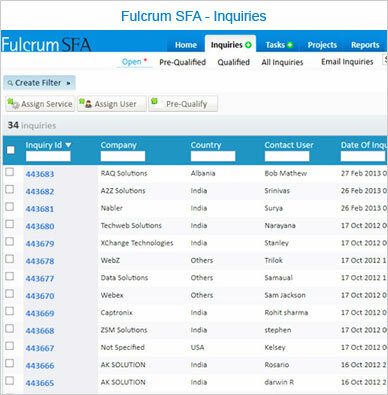 Fulcrum SFA offers a complete sales automation solution for your sales team to easily manage leads, prospective opportunities, and multiple user accounts through one location. 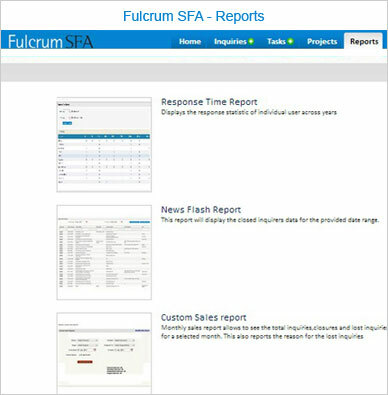 Real-time activity logs and mobile access through the Fulcrum SFA app further enhances and optimizes your sales team's efforts. If you are a small business, or even a large enterprise managing continuous sales, Fulcrum Automation is the right tool to engage. 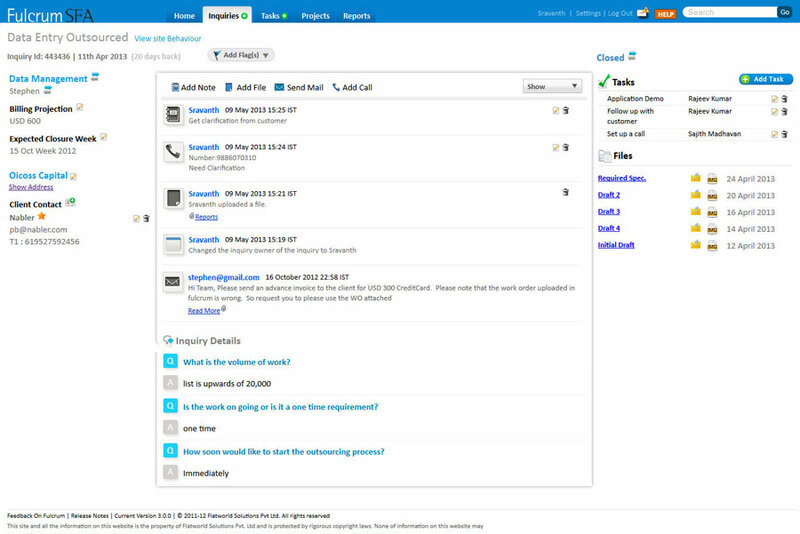 It ensures better, smoother and quicker sales practices to make your overall sales process more effective and efficient. Contact us now to reap the benefits of a highly customizable and feature rich sales automation software, and see your business productivity grow!